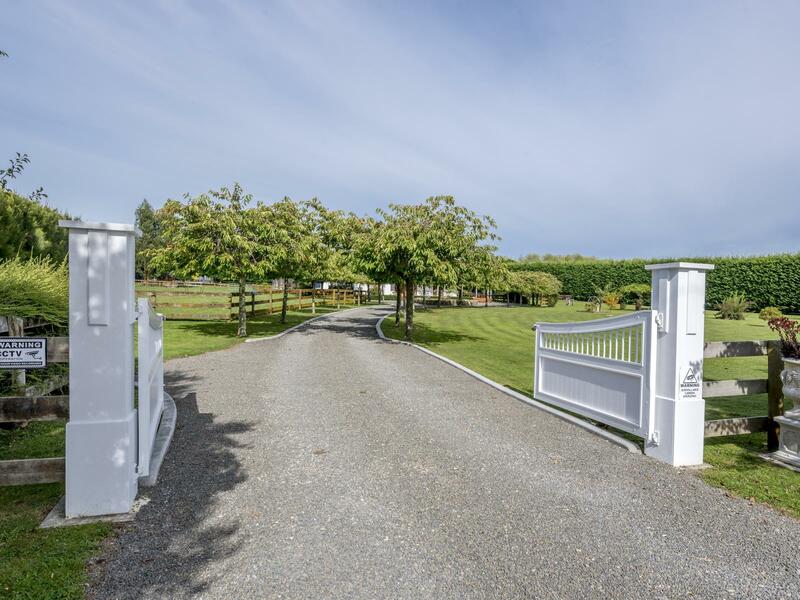 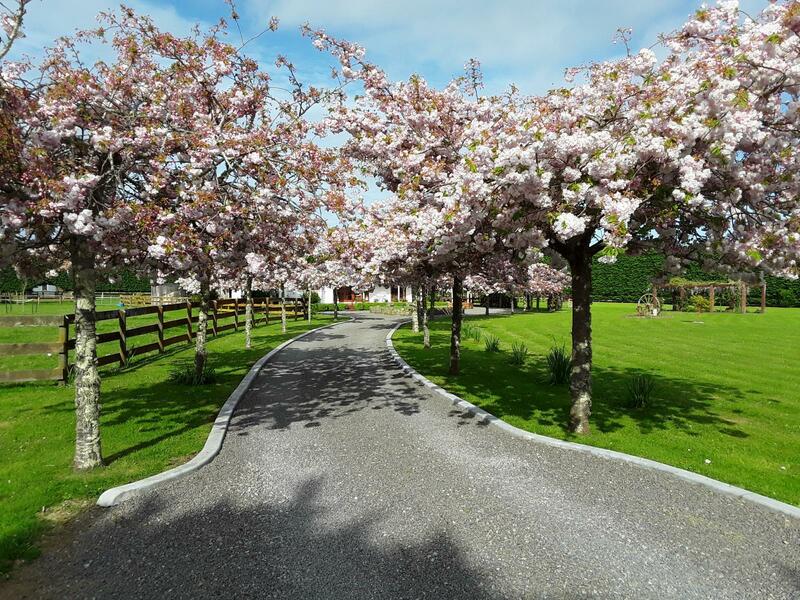 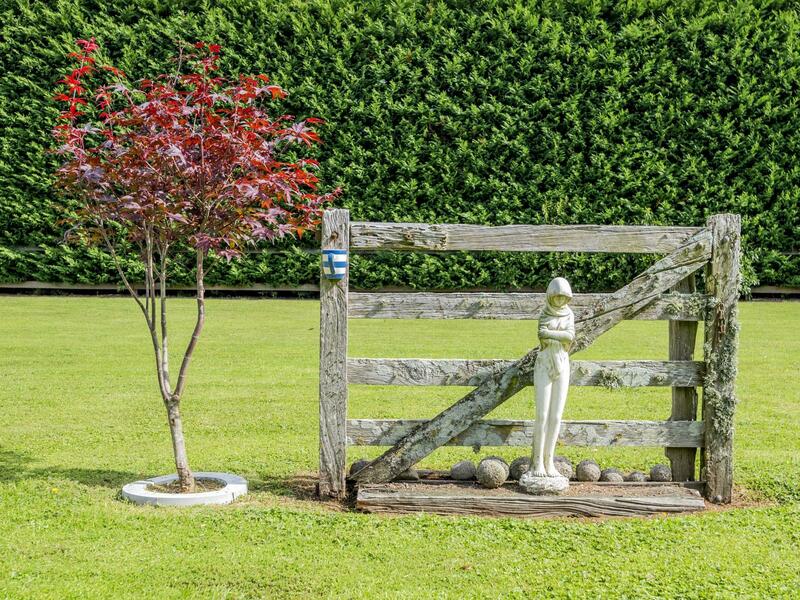 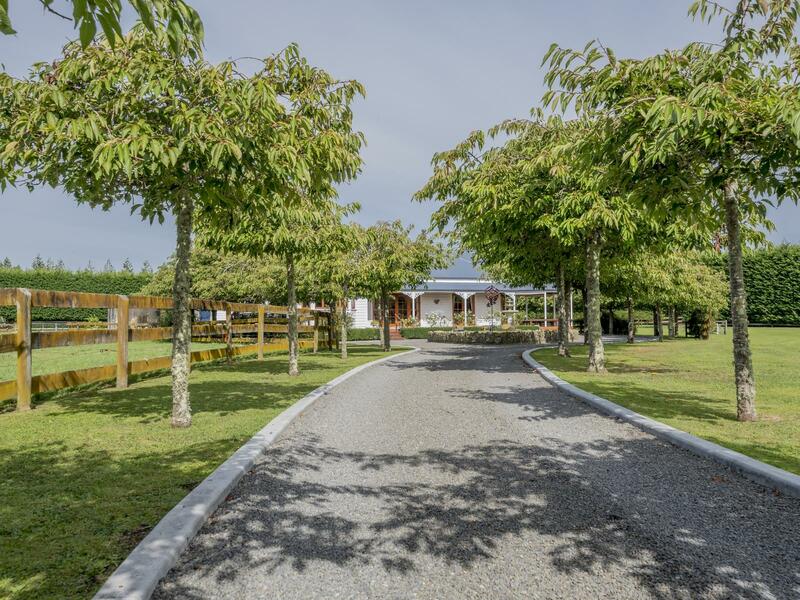 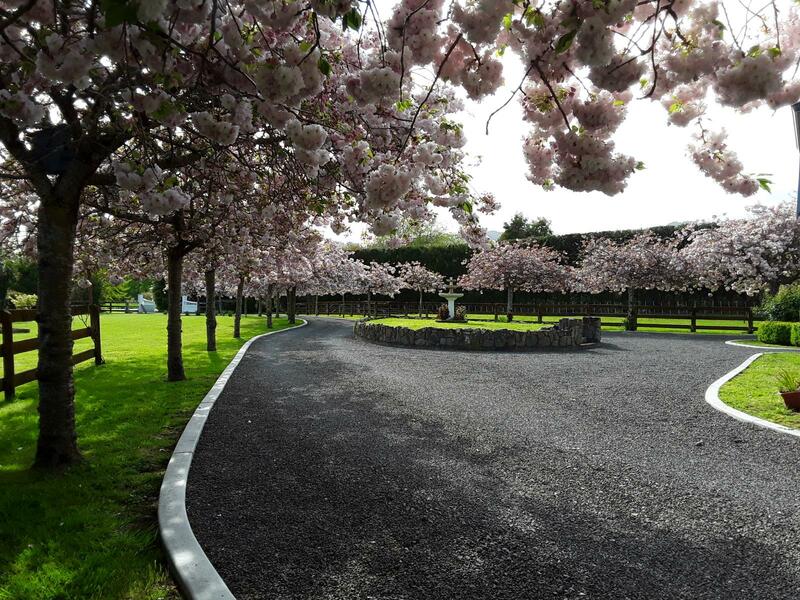 As you enter the cherry tree lined driveway you are fully aware that you are about to experience a property like no other. 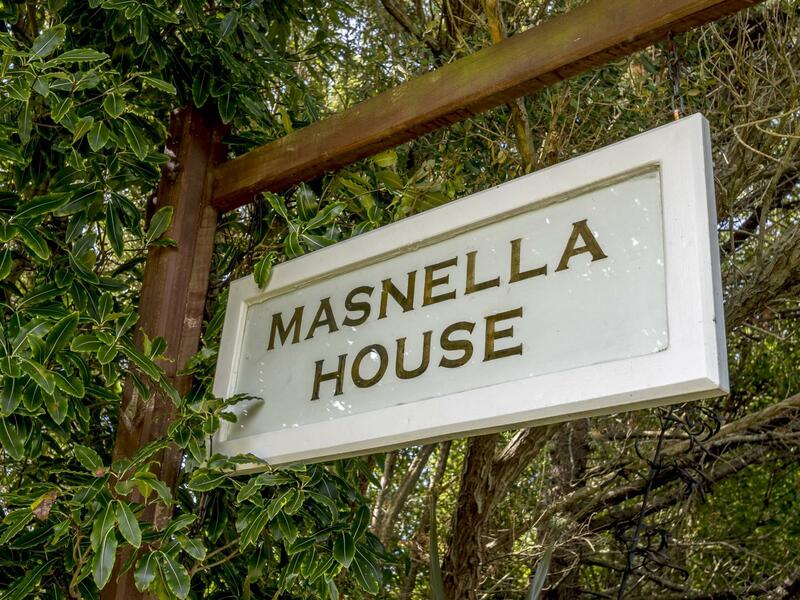 Indeed you do. 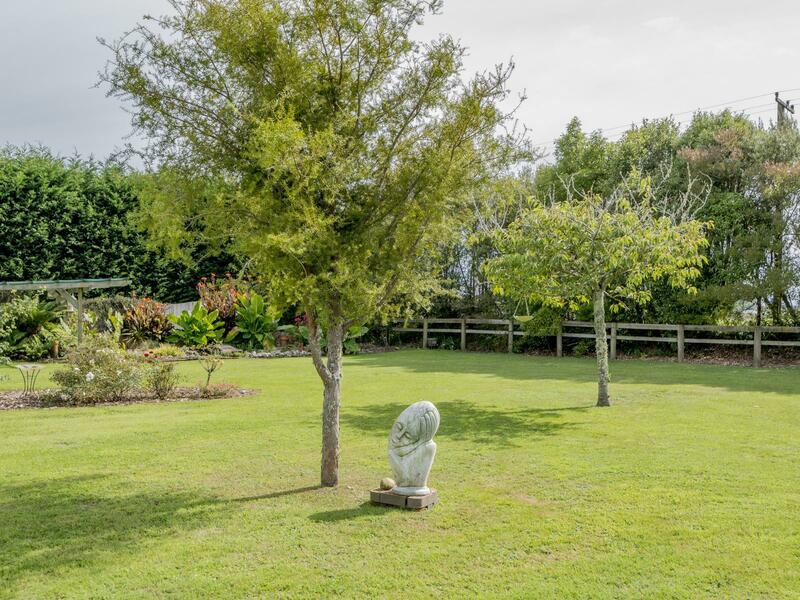 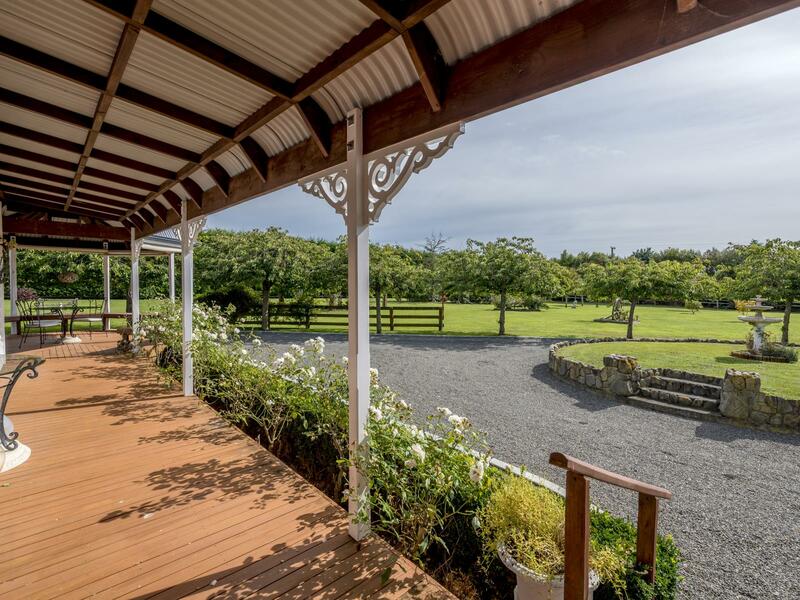 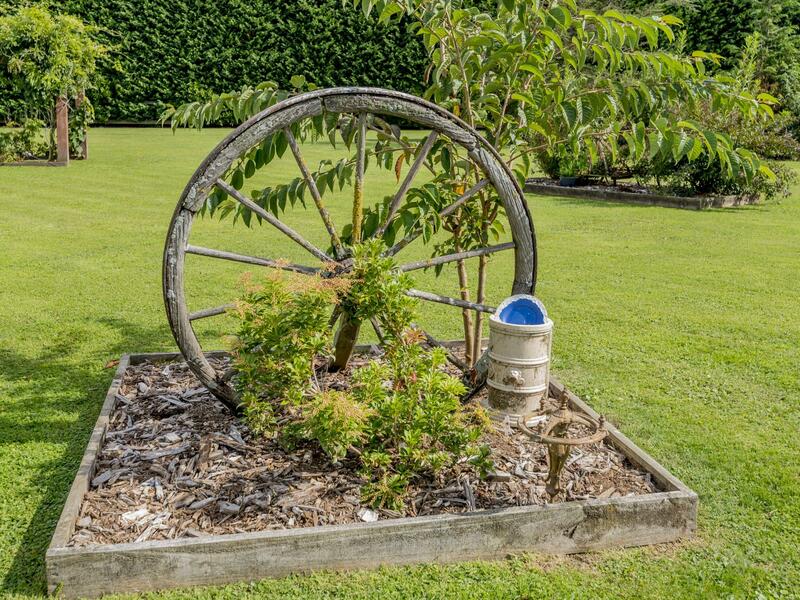 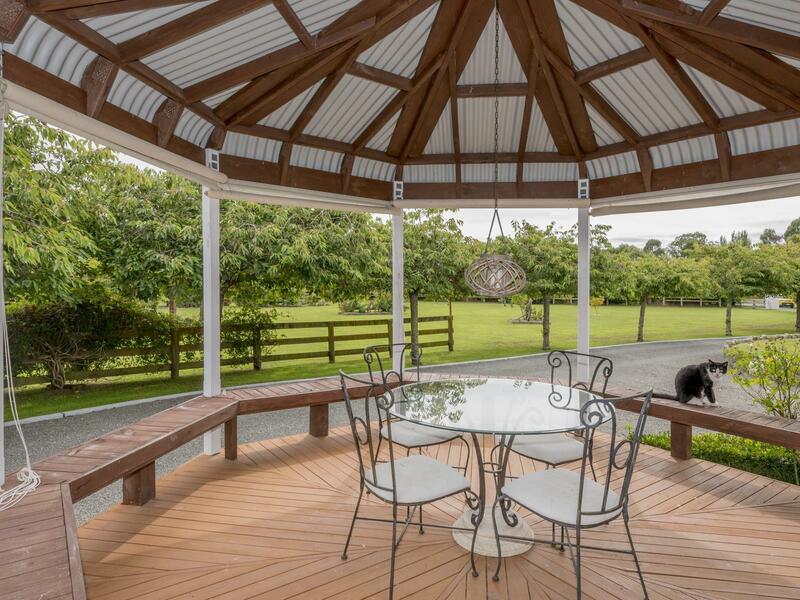 'Enchanting' and 'stunning' are words that leap to mind as you drive towards the Moss Brothers replica homestead, which sits proud on 1.08ha of manicured park-like grounds. 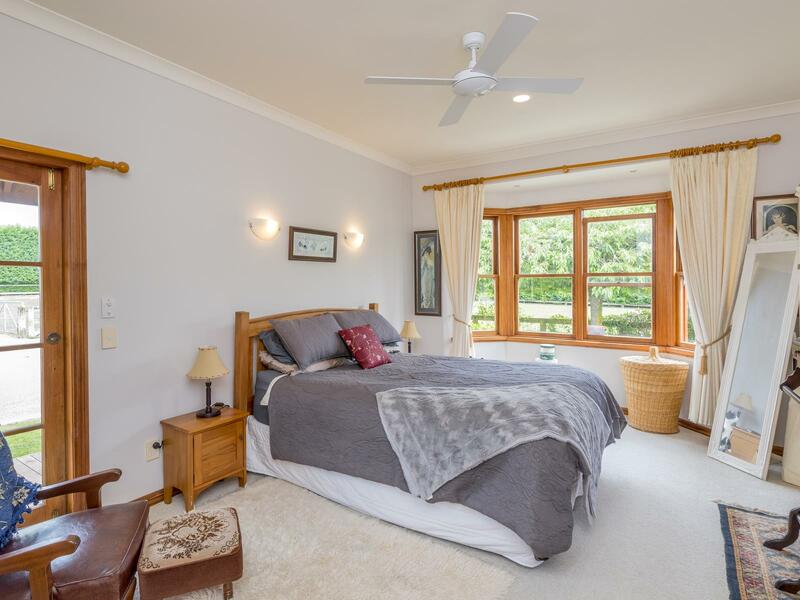 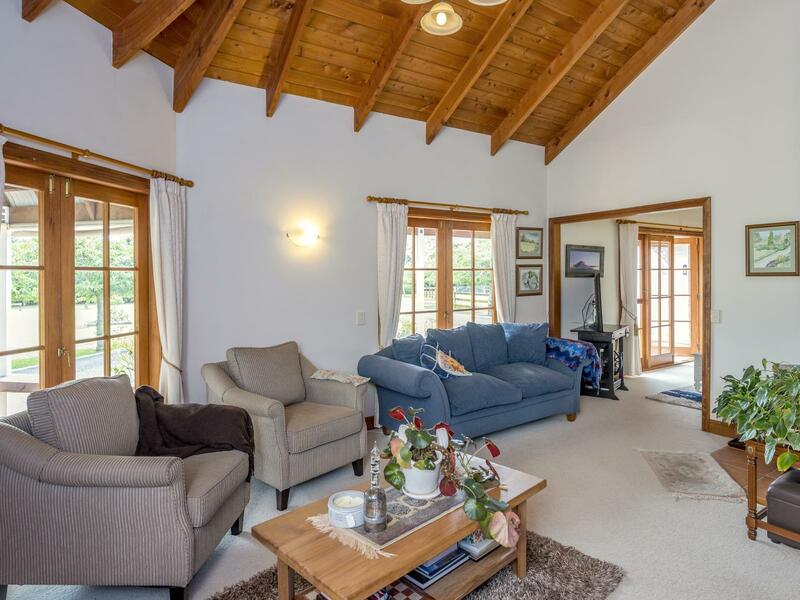 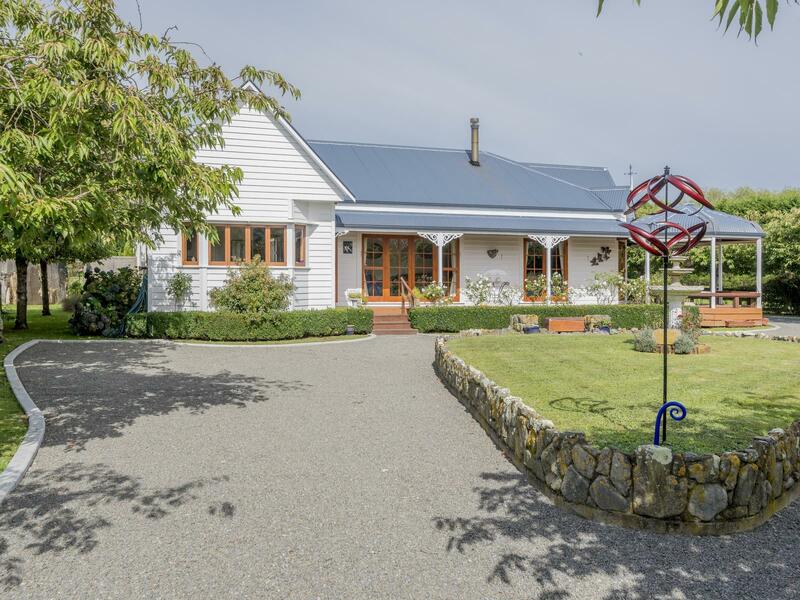 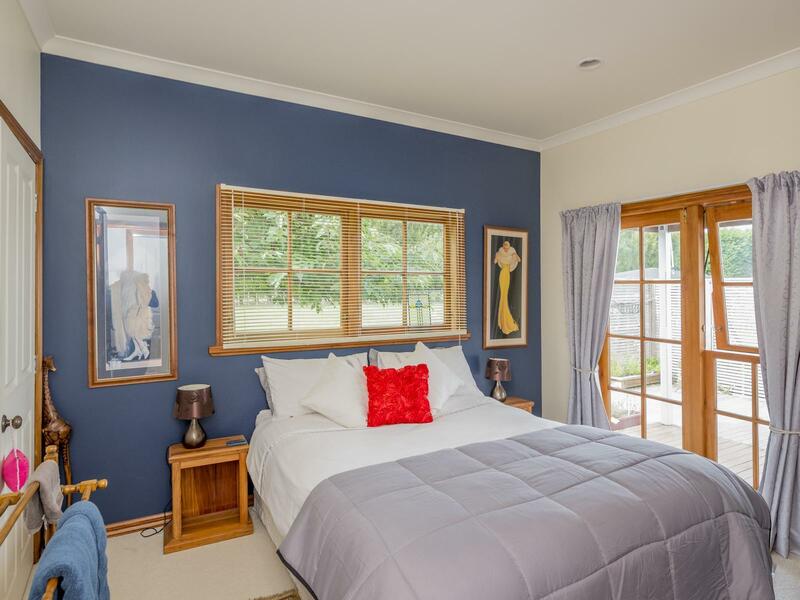 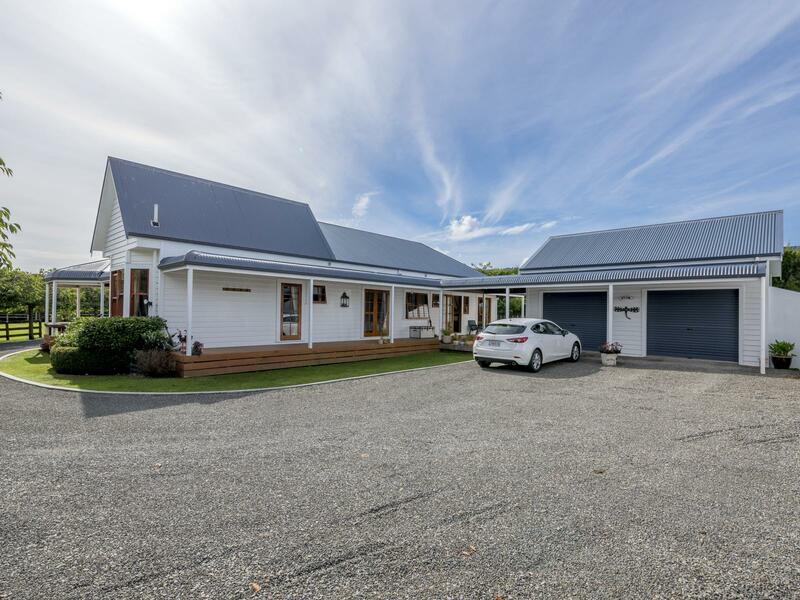 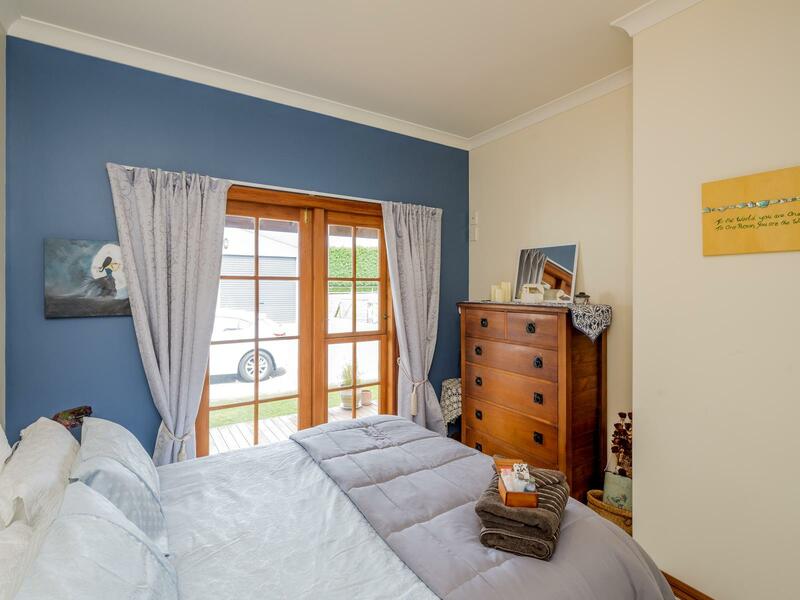 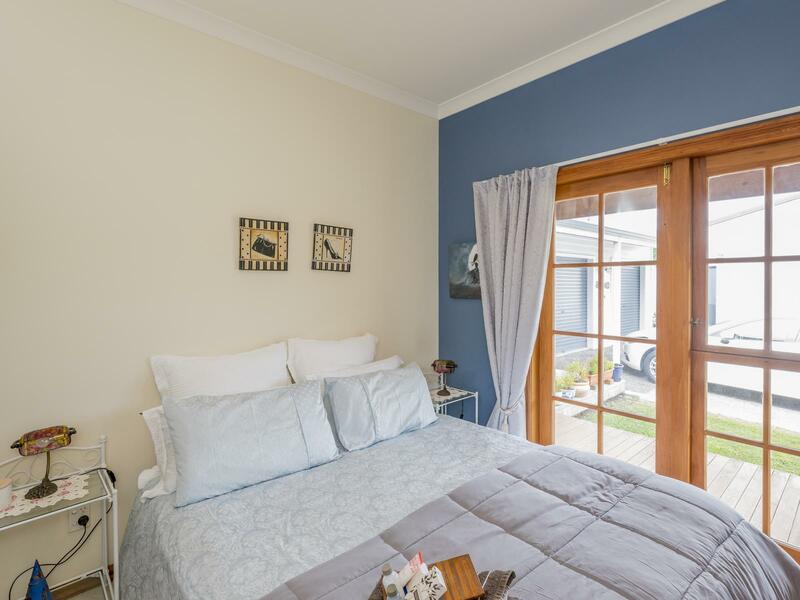 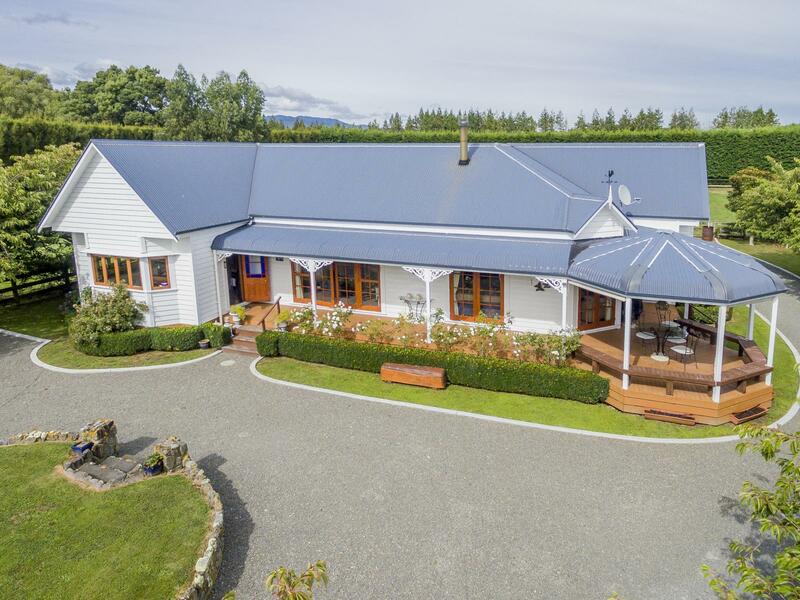 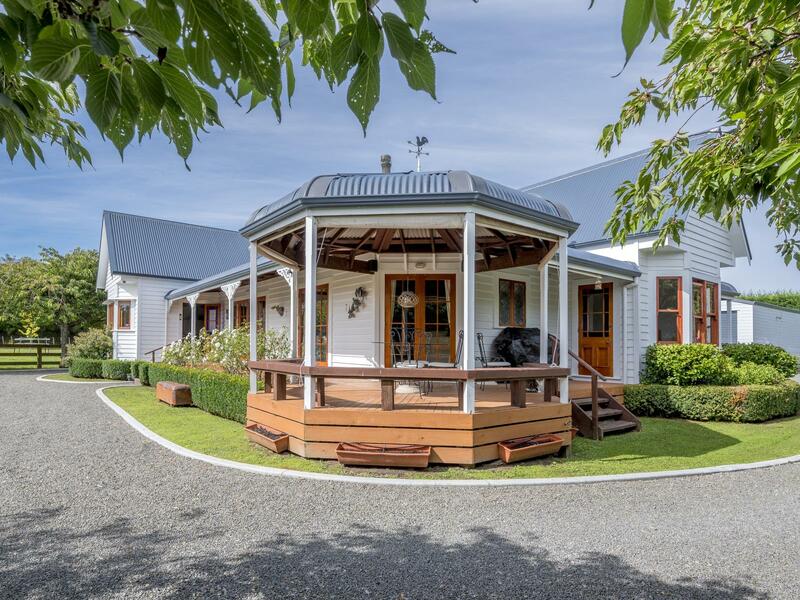 Comprising of four bedrooms, master with ensuite and walkin robe, three of the bedrooms open out through french doors to the wrap-around verandah. 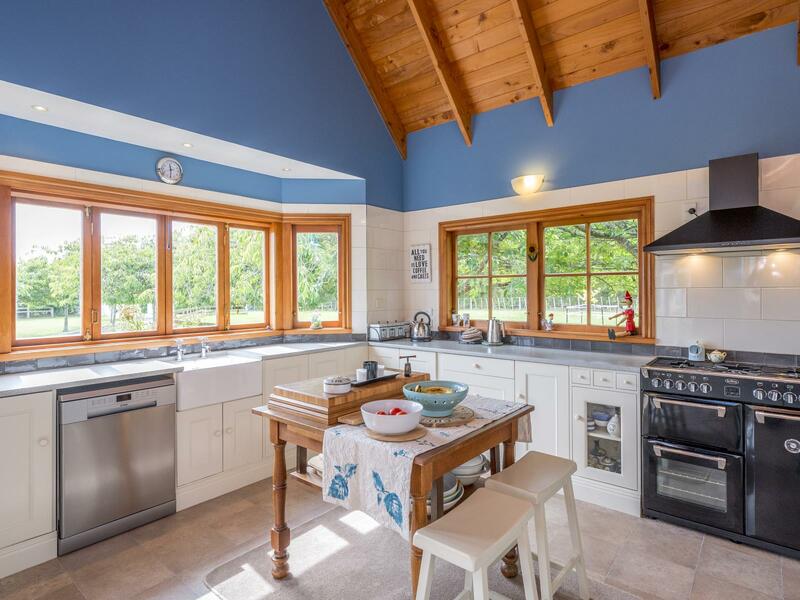 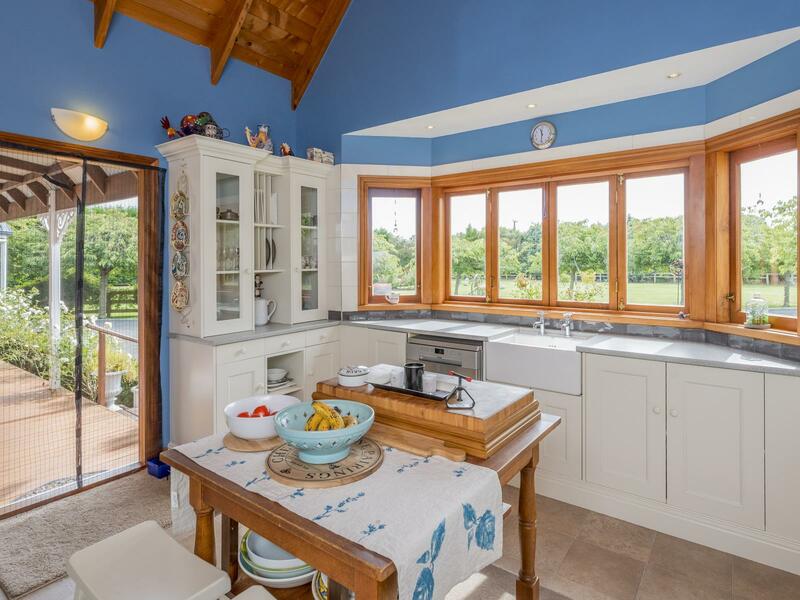 The beautifully appointed kitchen would wow any discerning chef with its top of the line chattels, especially the Argon gas hob cooker with three ovens. 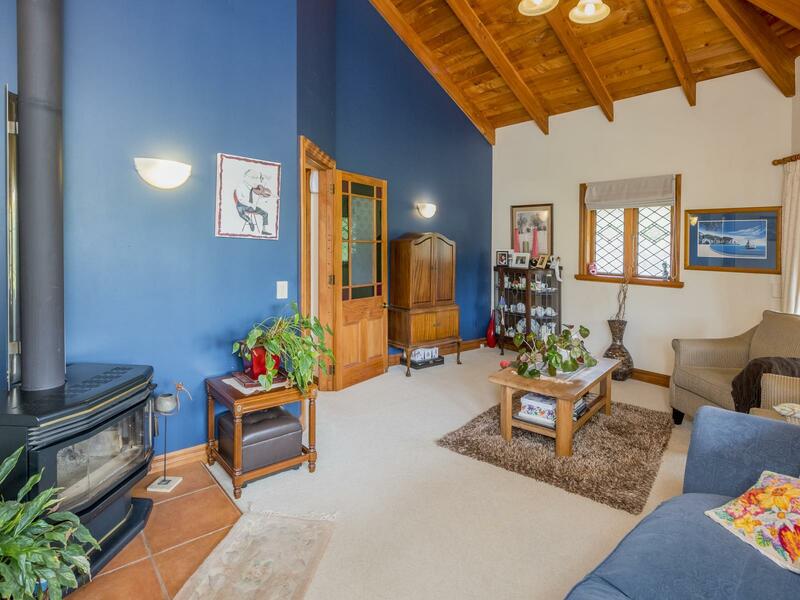 Dining/family room opens into the lounge which accommodates a wood burner (heat transfer). 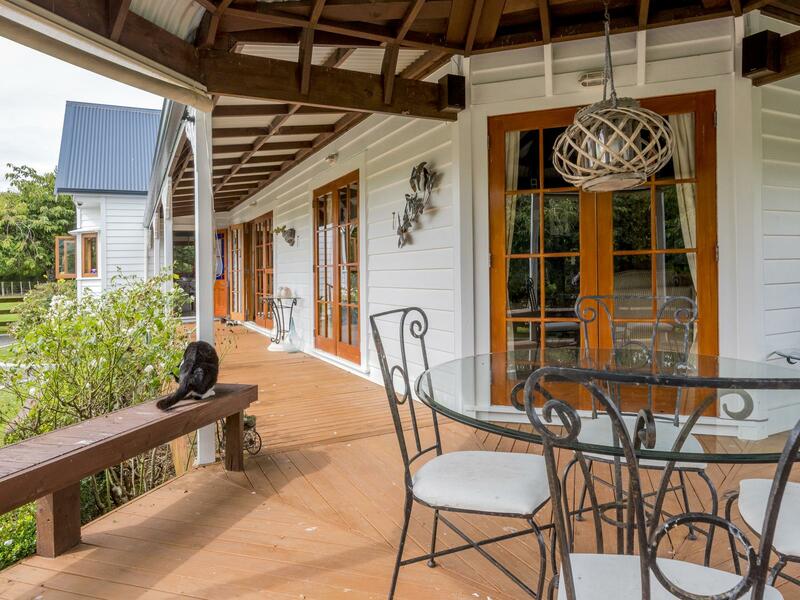 These two living areas open out through french doors to the north facing verandah, excellent for larger gatherings. 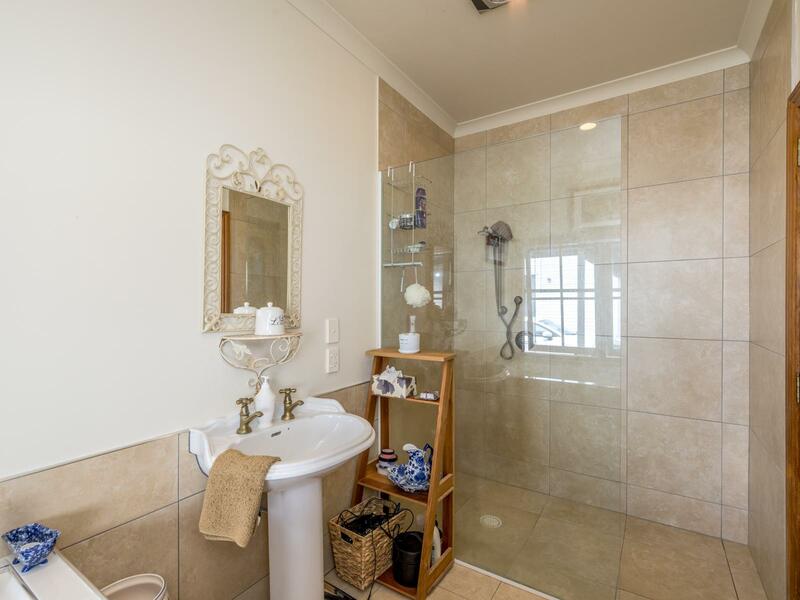 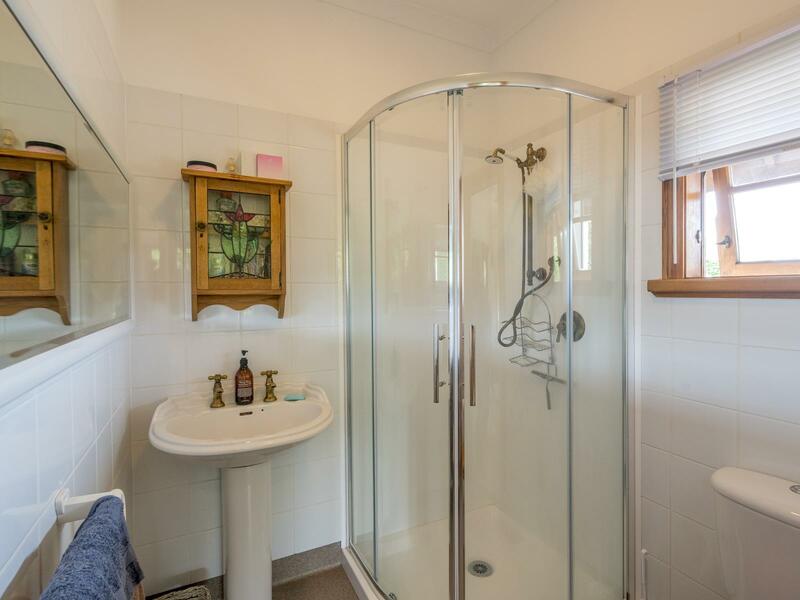 The family bathroom has an inviting deep spa bath, large shower area and pedestal basin. 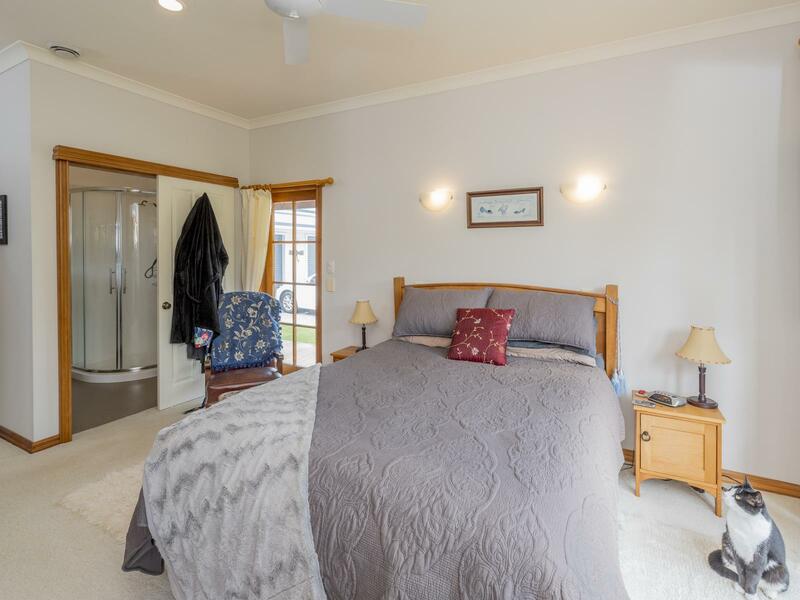 The home is insulated and has storage galore. 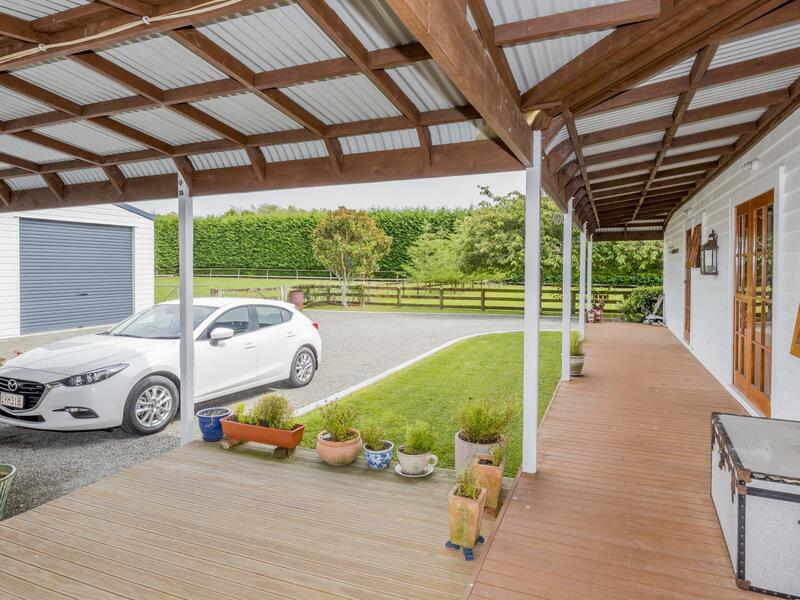 The double garaging plus 8x8x3 utility shed with workshop and office area would be a dream come true for the car enthusiast or someone who would like to work from home. 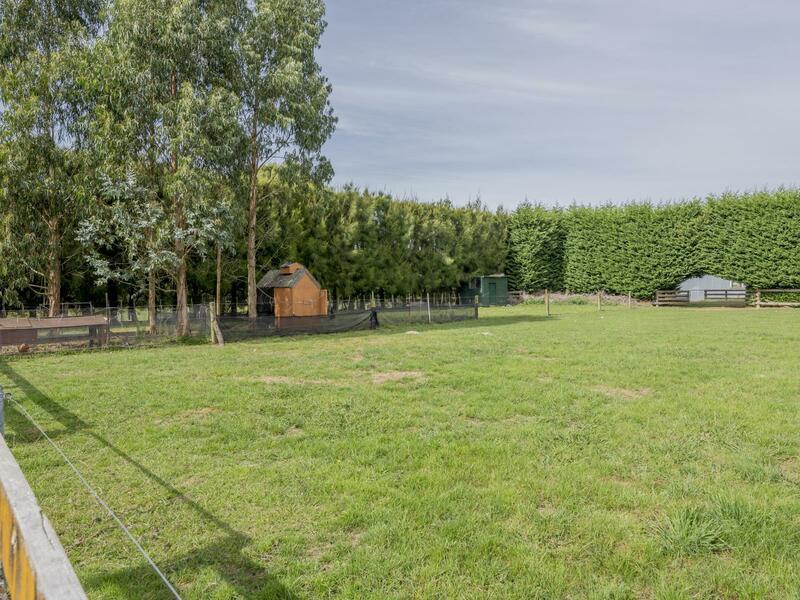 There are 2 hen houses, 2 water tanks. 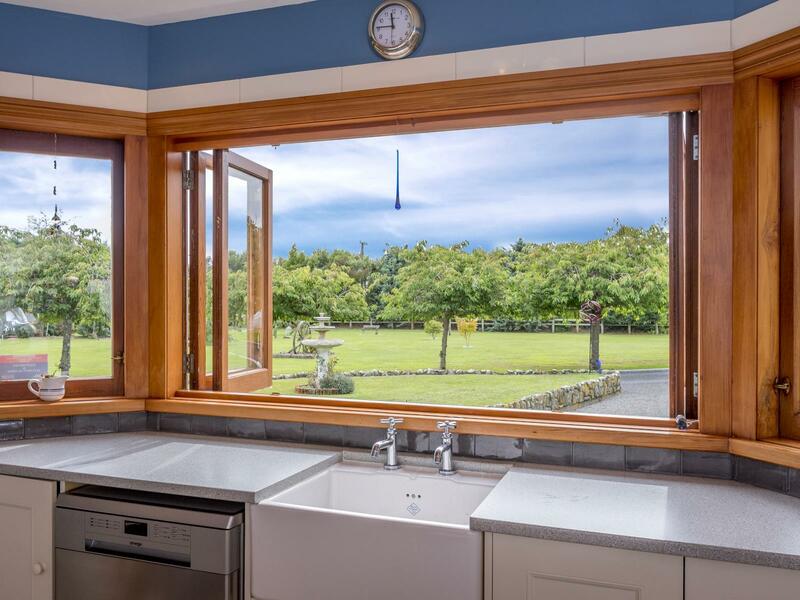 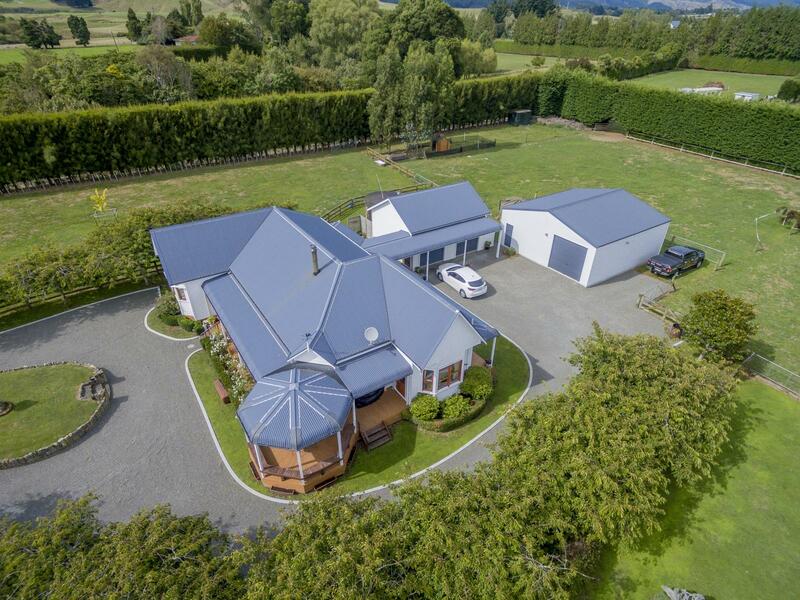 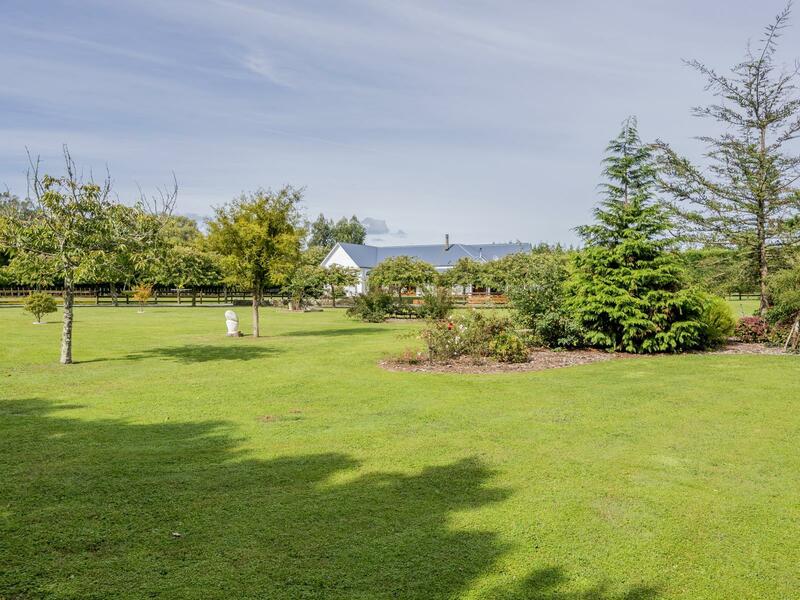 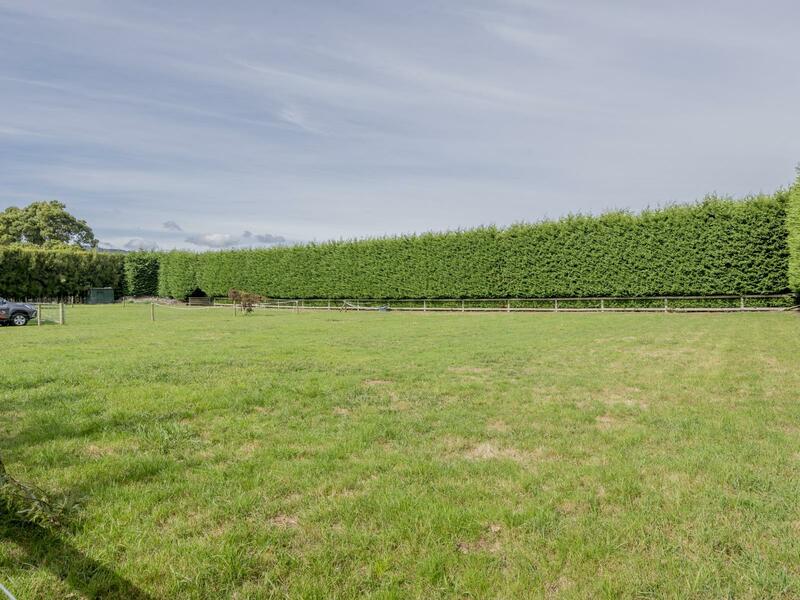 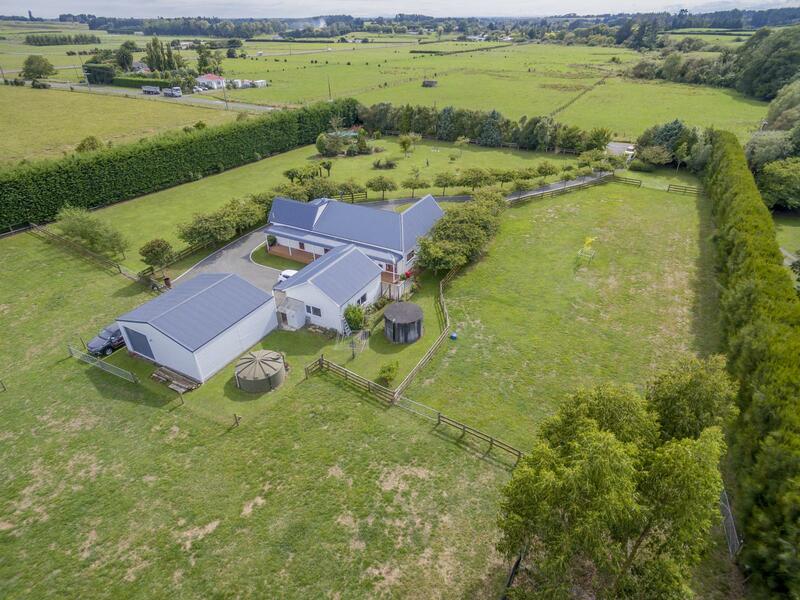 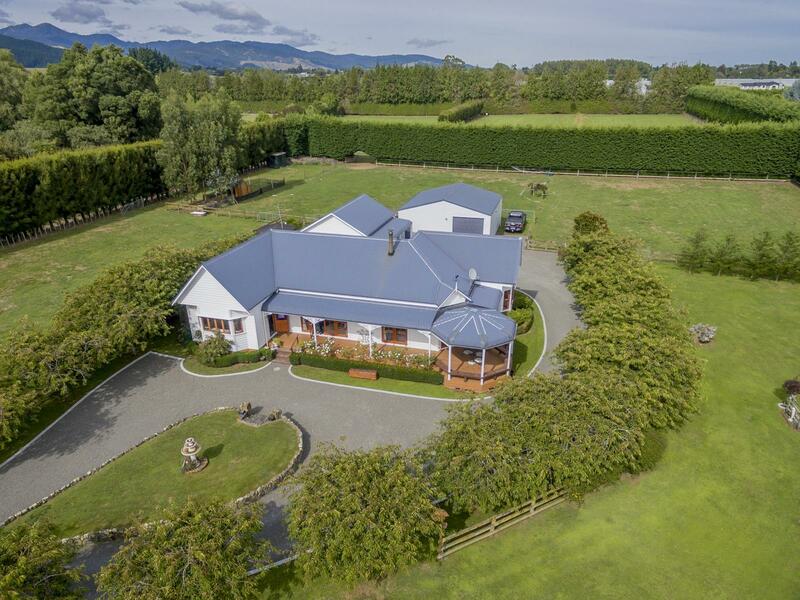 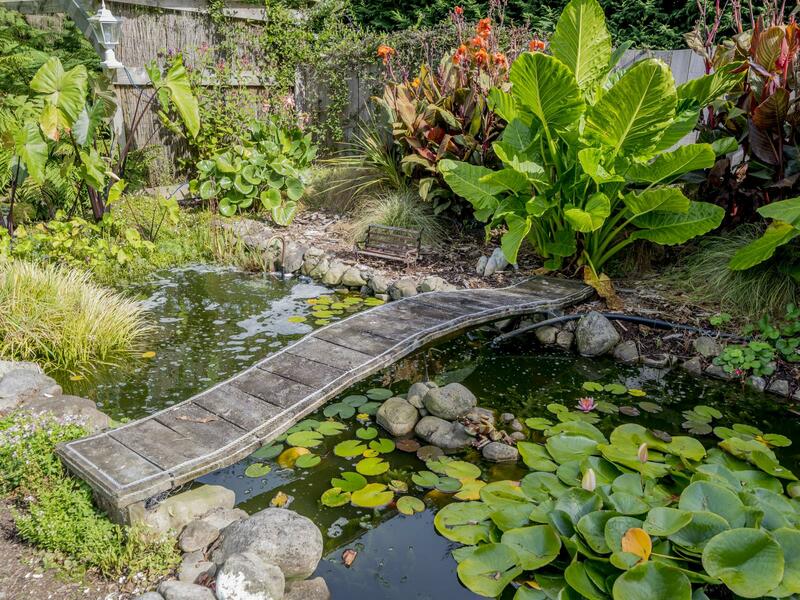 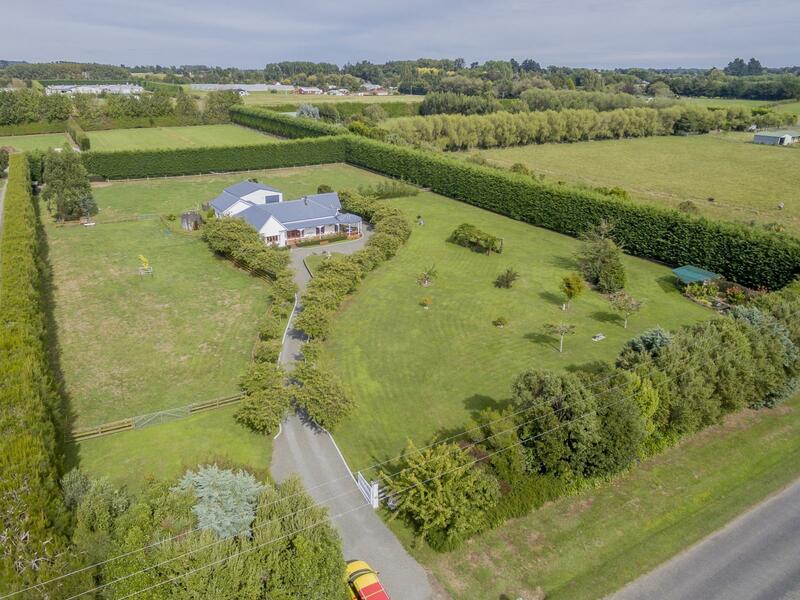 This is a property that would suit all walks of life whether for a family (close to good schooling), retired farmers or professionals who wish to getaway from the urban hustle and bustle. 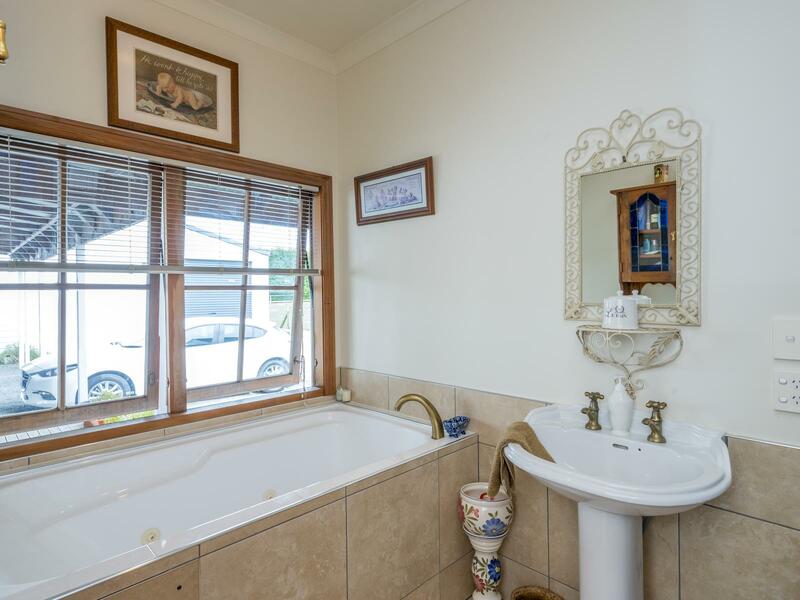 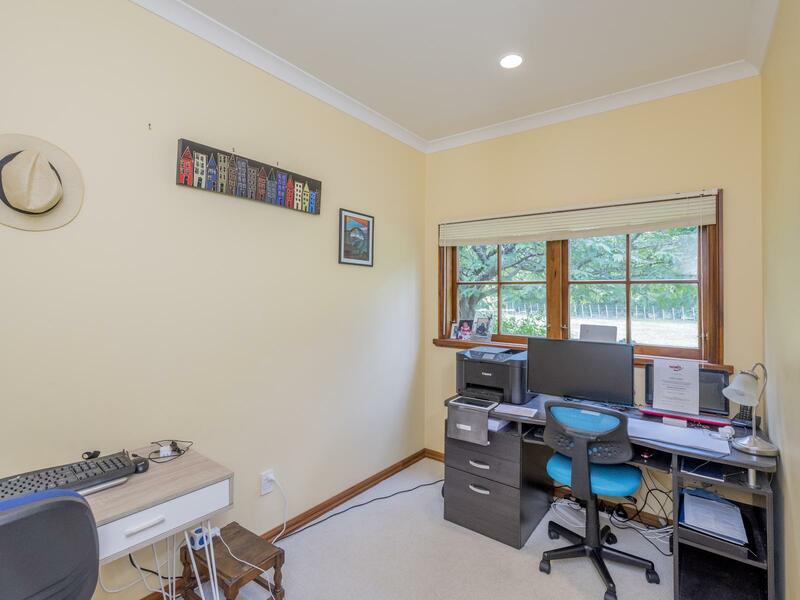 Truly, this is a must to view property.